The finish line is in sight - will you VOTE for the @steemitbloggers? GOOD MORNING & HAPPY HUMP DAY PEEPS!! So, we are approaching the finish line for the 20k dpoll and as most of you already know or are following - We have managed to keep our place in the top two for some time now. Many of you are MORE than familiar with the community which I have spent building alongside my right hand man @zord189 and all our BRILLIANT members for just over the last year. The @steemitbloggers. 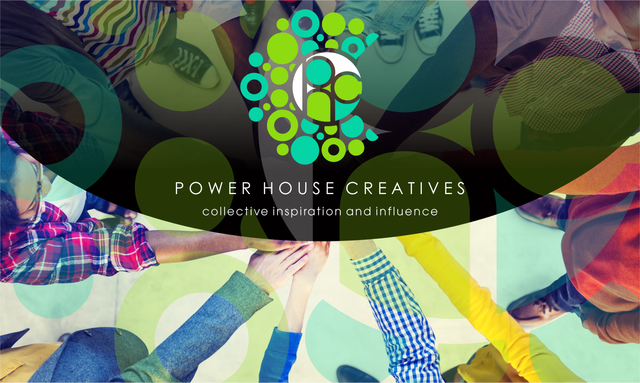 Yes, we have recently re branded to the #powerhousecreatives but we are still the same DEDICATED community that MANY on the #STEEM blockchain have come to love and appreciate! For those less familiar, we are an internationally driven discord community focused on embracing and supporting the truly dedicated and enthusiastic content creators on the steemit platform. We have WELL EARNED the reputation which we now fly high - as everyone who knows us, is familiar with the fact that when you browse our @steemitbloggers feed, you are guaranteed a quality exploratory experience. That being said - we could REALLY benefit from this delegation. As the founder, I really feel that our members could and WOULD be able to offer so much MORE to benefit #steem members "all round" with this delegation. Our @steemitbloggers community is comprised of individuals who are tirelessly dedicated and enormously passionate to not only the upliftment and betterment of #STEEM but to the people actively involved in it too! Our efforts, support and influence extends far and wide into some of the most revered and loved communities, initiatives, apps and individuals on the Steem blockchain. The 20k delegation will be in EXCEPTIONALLY good hands and its benefits will spread far! Thank you for taking the time to read this and should you decide to vote for us - we GREATLY appreciate your support and vote of confidence! We can ALL assure you that the delegation would be be in VERY good hands if we do win. Has already done that.This time victory will be yours. Their is quite a big gap for the second placed group to cover. Hello @jaynie! This is a friendly reminder that a Partiko user has just followed you! Congratulations! Hey @jaynie, i hope the numbers are lookin good for your group. I've voted for ours though we're not a lot. Go get it!!! Thank you!!!!! Its been a tough race, but we are in it until the end :) Appreciate the support! MWAH! The suspense is nailbiting..is it over? Was that steem tips sorted? It's midnight here so will check twitter come afternoon later today. Congratulations! This post has been upvoted from the communal account, @minnowsupport, by nickyhavey from the Minnow Support Project. It's a witness project run by aggroed, ausbitbank, teamsteem, someguy123, neoxian, followbtcnews, and netuoso. The goal is to help Steemit grow by supporting Minnows. Please find us at the Peace, Abundance, and Liberty Network (PALnet) Discord Channel. It's a completely public and open space to all members of the Steemit community who voluntarily choose to be there. Let's take it all the way! To the win!!! In our last Algorithmic Curation Round, consisting of 330 contributions, your post is ranked at #30. A lot of my good friends are in this group, that's why I already voted for you guys a few days ago. Good luck jaynie and PHC :). Just posted a last hurrah. Not much a hurrah, but I have been hoping to hop onto this promotion gig all week. Does last minute count? Boom. It's looking good. My vote is in and keeping fingers crossed for second time lucky! Thank you!!!!!! @samstonehill :) REALLY appreciate the support! If you could rally any additional support for us, that would be SUPERB!!! We really need to do everything possible to hang on to this position until the curtain falls! THANK YOU!!!!! - Approx. 11 hrs eeeeeek!! !